We milked on a concrete slab, two of the walls were enclosed and two were open (toward the inside of the barn, though). A 12 x 12 milking area was PLENTY big for one cow. We liked having the pump in a separate room, because it really kept down on the noise. Plus, our Surge pump has a pulley, and we always wanted to keep that away from everything! We only had cold water, and we wish we had hot water at the barn for cleaning. Instead, I had to take the milk and machine down to the house to clean the machine and cool/refrigerate the milk. In the winter, we would stick the milk in the snow to cool and rotate occasionally! 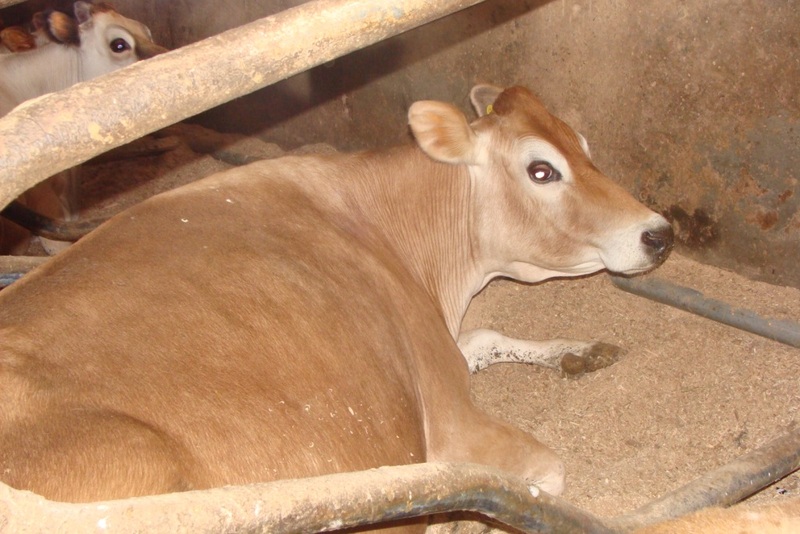 We bought a custom mix of grain that was a three-ton minimum, so we split the tonnage with another family dairy cow owner so the grain was consumed fresh. I liked having a table, I would lift the milker up to the table, about waist height, and then pour into the gallon jars on the table. We kept on the shelf a tray that held our iodine teat dips (pre/post), clean white wash cloths (WalMart, $3 for 18, reusable), a brush (to brush the cow clean before milking), wet wipes, and udder balm. 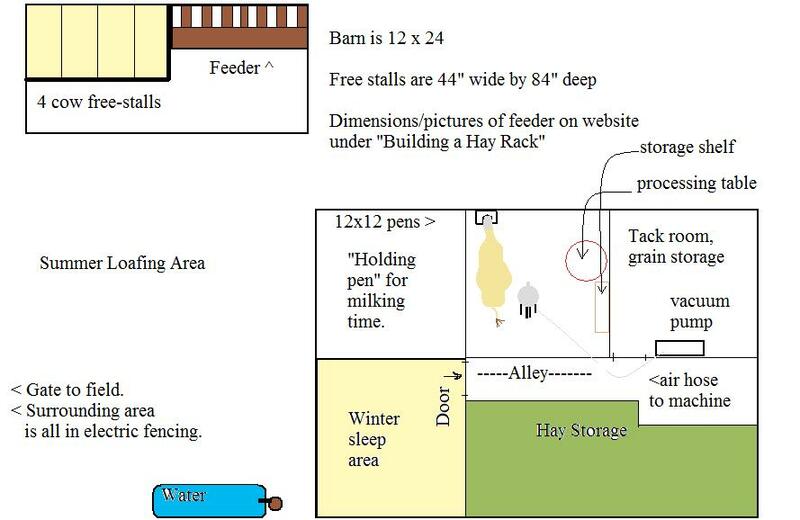 Our cows started with the “winter sleeping area” and then my dad built the a small, three sided barn. From there, we could lock the cows in in cold weather in the free stalls. In the summer, they like being in the pasture or the dry “pack” in front of the barn. 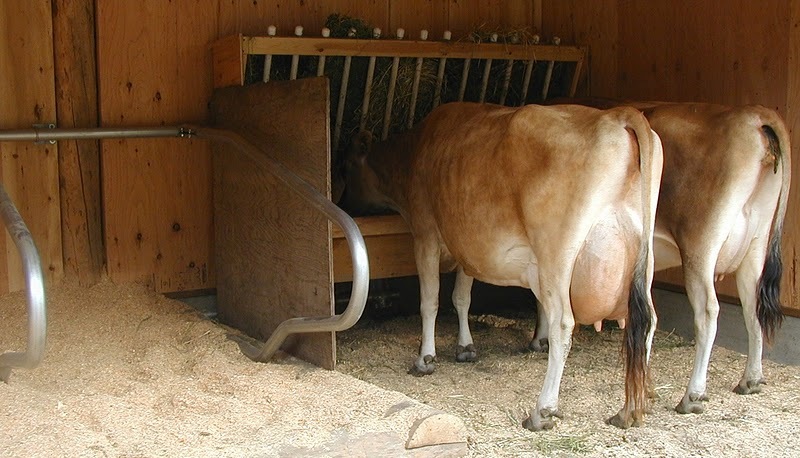 The feeder was large enough for two cows to eat comfortably at a time. 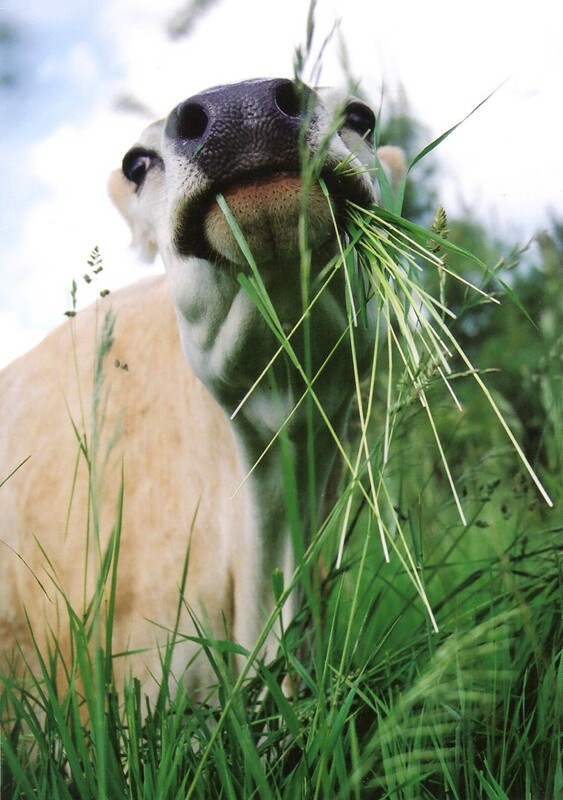 For more cows, we would prefer a longer feeder. We saved TONS of money with the feeder! I’ve been looking at the pics of your Jersey cows, and I’m blown away with their beauty. Simply beautiful. Why thank you! 🙂 My husband always says, “If you have to milk them twice a day they might as well be worth looking at!” We think they are beautiful creatures, too!